once again, it is not general problem, only this scene. It is on "Bikanel Island / Al Bed Home (near end)". 0.9.5 svn377 with same gdx plugin (0.1.14) and also default settings - NO bug! so, i guess it is the 0.9.6 problem. i know i can(and will) workaround my problem by playing few minutes on 0.9.5 and switch to 0.9.6 afterwards and hoping there will be no more such places in game, but i thought it will be also usefull to create this bugreport. tried 720 + gsdx r694 - a little worse -> now the first problem moment is "breaking" much harder (visually) and there is now 100% crash on it. The second problem moment (i had a savestat) is the same (visually). do i have to load the memcardsave or the savestat from previous pcsx is OK for telling you that the bug is still there? Use your memory card save and try that scene again. (Don't use any savestates!). If it still crashes, then please attach your memory card here (compress it first please ). played from memsave -> discovered another problem moment (but it sometimes not crashing). 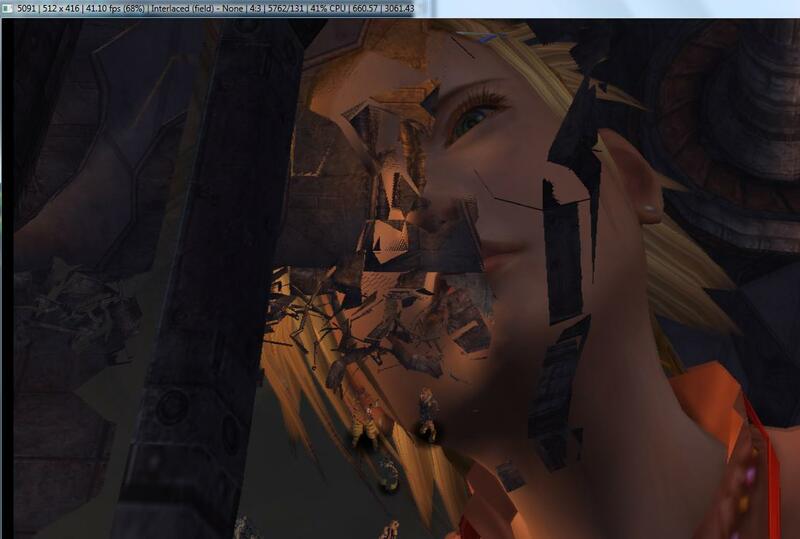 problem moment 3: after Rikku screaming "Yuna will die!" Ok, we traced the problem of the game crashing to some sensitive part of the emu. This is something for refraction to fix.. The second problem you describe can be fixed with full fpu clamping i believe. (03-09-2009, 07:37 PM)rama Wrote: The second problem you describe can be fixed with full fpu clamping i believe. what? this weird controls inversion is happening only in this and the next location, so, for example, to run UP i hold Down-key, and to run RIGHT i hold LEFT-key, etc. Try the savegame in previous post. Oh, and enable extra + keep sign for the VU's as well. should i turn it on always for all games? any speed decrease?